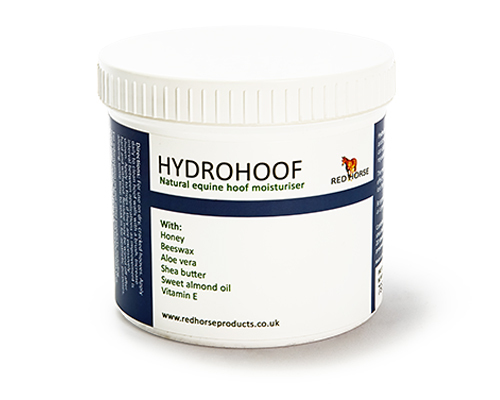 HydroHoof is a moisturising balm that soothes dry, cracked or inelastic hooves and rejuvenates withered, dry frogs. It contains a blend of Bee’s wax, Bioactive Honey, Aloe Vera, Sweet Almond oil, Shea Butter, and Vitamin E.
Directions: Apply daily to clean hoof walls with a brush. Increase interval between applications as improvement is shown. Apply to frogs if they are excessively hard and withered. Residue may be wiped off after allowing some time to soak in for aesthetic purposes.